Now that the curtain has dropped on “UFC 131: Dos Santos vs. Carwin,” let’s take a look ahead to MMA’s next major show. 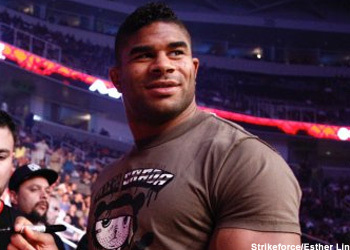 “Strikeforce: Overeem vs. Werdum” will be headlined by a pair of Heavyweight Grand Prix quarterfinals bouts. Alistair Overeem and Josh Barnett are significant favorites to dispose of their respective opponents and advance to the tourney’s semifinals. Overeem meets upset specialist Fabricio Werdum, while Barnett faces Brett Rogers. The event takes place this Saturday inside the American Airlines Center in Dallas, Texas. Showtime will broadcast the main bouts at 10PM ET/PT.